This is an original production cel from the Walt Disney Studios production Fantasia (1940). 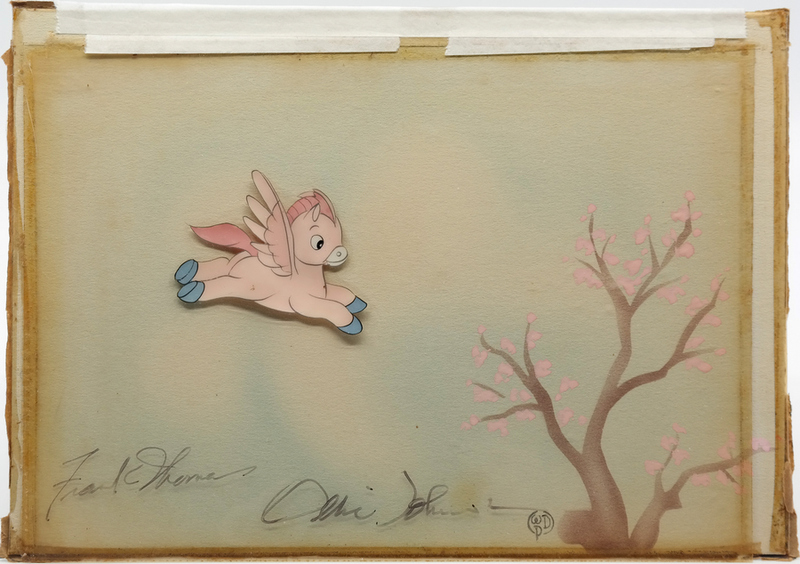 This hand-painted cel features the pink baby Pegasus flying through the air. It was created at the studio and used during production, representing an actual frame of animation that was photographed and appears in the cartoon. 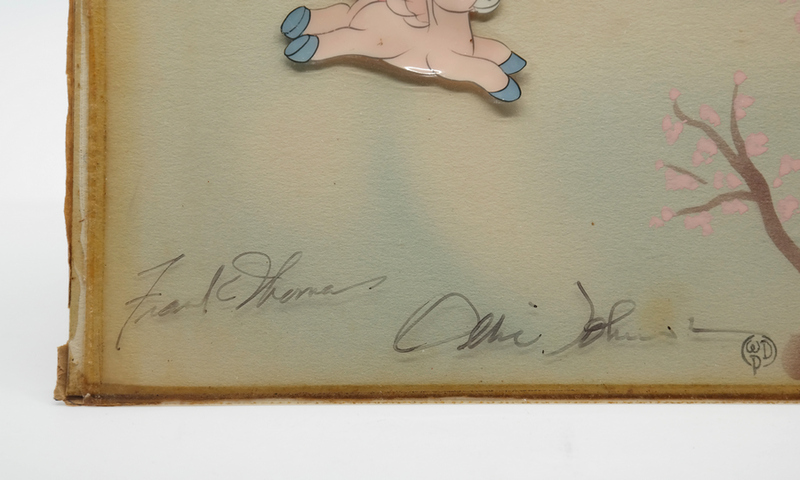 The cel is also hand-signed by Disney Legends Frank Thomas and Ollie Johnston, two of Disney Studio's Nine Old Men. The overall measurements of the piece are 6" x 8" and the image itself measures 2" x 2". 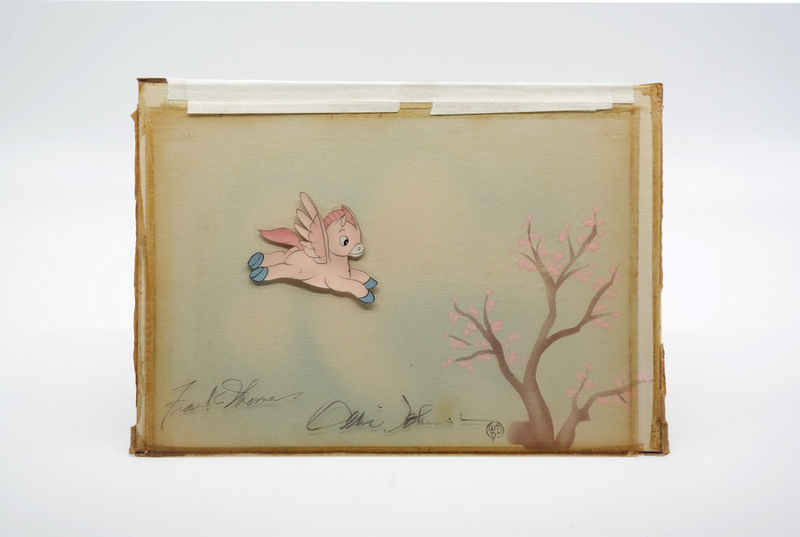 The cel was originally prepared by the studio for sale at the Courvoisier Galleries and is in very good condition with some tape/adhesive residue around the edges of the setup. It features traditional characteristics of a Courvoisier setup, including the cel being trimmed and paired with a custom painted, airbrushed background.